We are pleased to announce the formation of our new non-profit organization, You Are Not Forgotten, dedicated to serving the community we live in with the love and grace of Jesus Christ. 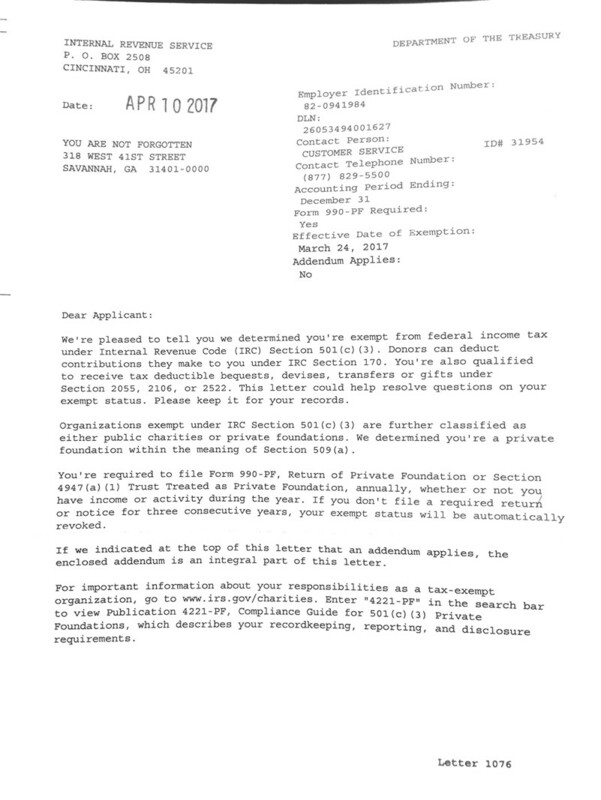 Our determination letter from the IRS arrived last week and we are excited to get started with this ministry! Please pray with us that God blesses this endeavor and uses it for His glory!